Power Generation - AirNova, Inc.
AirNova, Inc. completed a NOX RACT program for this utility which involved emission sampling of all representative generation equipment under multiple load settings and while firing several fuels. The resulting data is utilized in developing a strategy to meet state NOX RACT regulations. Sampling was additionally conducted on all units in determination of carbon monoxide and non-methane hydrocarbons. AirNova, Inc. conducted emission sampling in determination of nitrogen oxides, carbon monoxide, nonmethane hydrocarbons, oxygen and carbon dioxide in the validation of a fourier transform infrared analyzer system. Emission determinations were conducted at several load points while separately combusting natural gas and distillate oil. AirNova, Inc. has conducted annual emission demonstration test programs for two (2) coal fired utility boilers at this facility. Sampling has been conducted in determination of emissions of sulfur oxides, hydrogen chloride, total fluoride, toxic metals, 2,3,7,8-TCDD, polycyclic aromatic hydrocarbons, PM-10, condensable particulate matter, nitrogen oxides, carbon monoxide and non-methane hydrocarbons. AirNova, Inc. conducted sampling in determination of emissions of nitrogen oxides, carbon monoxide and nonmethane hydrocarbons from eight (8) representative simple cycle combustion turbines. The program evaluated the effect of combustion modifications and water injection on the emission concentrations of these parameters. Each unit was operated at multiple load points while combusting either natural gas or distillate oil. AirNova, Inc. conducted an emission compliance test program on two landfill gas fired internal combustion engine/generator sets for total hydrocarbons, toxic VOC’s, nitrogen oxides, carbon monoxide and total reduced sulfides. The engine inlet gas composition was also characterized. AirNova, Inc. conducted an emission compliance test program on a gas turbine/heat recovery steam generator (HRSG) equipped with SCR and an auxiliary boiler at several loads while firing each of two (2) fuels. The test program was conducted in determination of nitrogen oxides, carbon monoxide, non-methane hydrocarbons, particulate matter, PM-10, sulfur dioxide and ammonia emissions. AirNova, Inc. conducted EPA Part 60 and 75 certifications for a 50 megawatt electrical generating station fired by wood. Certification was performed for primary and back-up continuous emission monitoring systems incorporating analyzers for dry oxygen, wet oxygen, carbon monoxide, sulfur dioxide, nitrogen oxides and volumetric flow rate. AirNova, Inc. conducted a meteorological and dispersion modeling evaluation to assess the impact of the facility regarding local and regional nitrogen oxides levels. 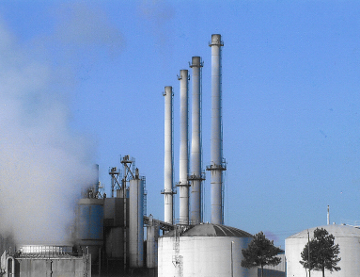 The impact of the exhaust plume from the facility was evaluated during ozone episodes concurrent with seabreeze circulations. Advanced shoreline dispersion modeling was performed in association with a meteorological assessment to determine that the facility contributed virtually no impact within the Ozone Transport Region during ozone episodes.